Welcome to the next issue of China x Cleantech, October edition. As always, China has produced a steady stream of stories — some got covered here on CleanTechnica and others slip under the radar. This monthly feature helps to better inform you of the rapid changes happening in China. China × Cleantech is also published over on the “Future Trends” section of our website. Here’s the previous report in case you missed it. Tesla is always a hot topic. 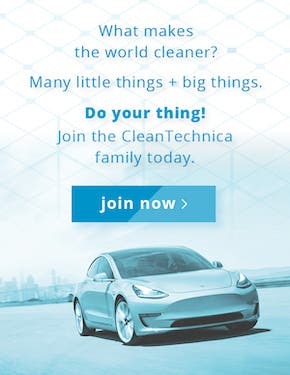 News from the Californian EV startup/powerhouse is constantly flowing due to its breakneck development and great products. It’s no different in China, so here are the notable Tesla in China stories of October. An interesting stopgap hypothetical, Maarten Vinkhuyzen mused that Tesla could potentially use its assembly plant in Tilburg, Netherlands, to avoid the hefty import tariffs created by the USA/China trade war. Maybe. 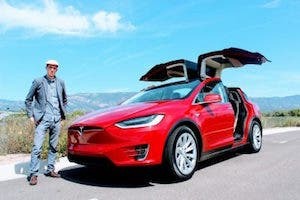 Naturally, as Tesla becomes a large global carmaker, it is wise to tailor its offerings to the tastes of local markets — and that is the longer-term solution Tesla has been working on — but perhaps some slight changes to the manufacturing plans could help avoid high tariffs before the Shanghai Gigafactory is up and running. In Gigafactory 3 news, Tesla signed a deal for 1300 acres of land in the Shanghai Lingang Equipment Industrial Zone for Gigafactory 3 on October 17, 2018. The article goes into some details on the reasoning behind Tesla’s Gigafactory 3, such as the ongoing trade war and government EV incentives. Gigafactory 3 has an aggressive timeline of 2 years after breaking ground to get production started. What’s Tesla if it isn’t ambitious? Steve Hanley discussed the reasoning behind Tesla Gigafactory 3 and the aggressive timeline more specifically in an article about the impact of the trade war on Tesla in China. Additionally, he highlighted if Tesla is able to achieve its timeline, it has a huge opportunity in both the size of the market and in the possible margin there. Chinese media reported on details from the environmental assessment of the Gigafactory 3 in Shanghai, primarily a document showing that Tesla plans to produce both the Model 3 and Model Y at the Gigafactory and is aiming for a production capacity of 250,000 car per year at the beginning. Reporters looked at the data about “new energy vehicles” to create a progress report on how far companies in China are from their year-end targets. Firstly, they provided the context that the China Automobile Association (CAA) released data on the sales volumes of new energy vehicles in China in September, which was 121,200 vehicles, and that the cumulative sales from January to September were 721,500 vehicles, which is an increase of 81%. According to the article, the national new energy vehicle sales target is 1 million vehicles in 2018 and it is 72% complete through September, making it likely the target will be hit since December is always a major sales month. BYD in 2018 targeted the sale of 200,000 new energy vehicles and its sales total from January to September was 137,237 vehicles. 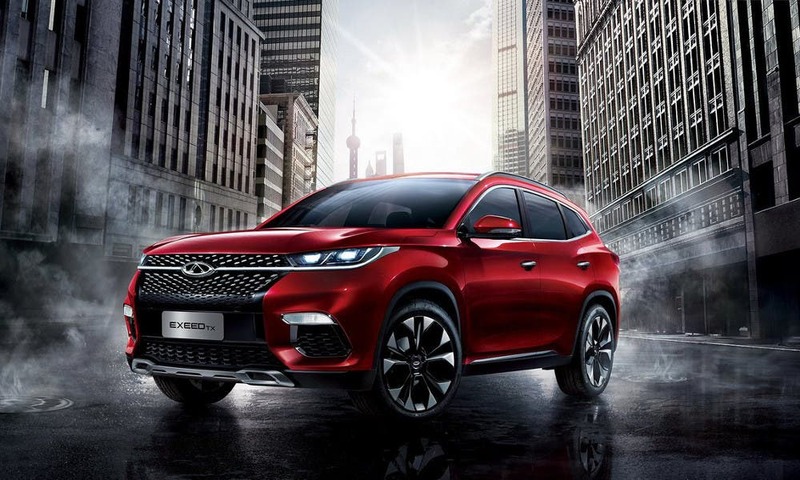 Chery in 2018 targeted the sales of 100,000 new energy vehicles and its sales total from January to September was 44,829 vehicles. SAIC in 2018 targeted the sales of 100,000 new energy vehicles and its sales total from January to September was 75,296 vehicles. The article linked above breaks down the numbers for numerous car companies in China, a very interesting read into the market. 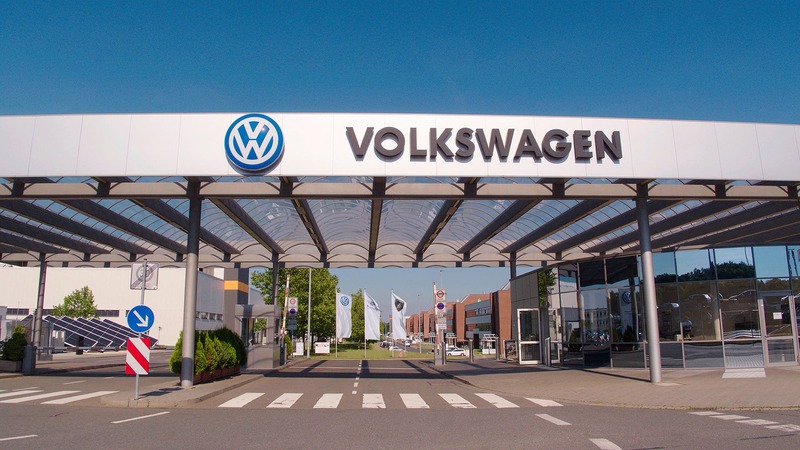 Kyle Field also reported on news that Volkswagen had started its first full-scale electric vehicle factory in China. The new factory will use the modular electrification toolkit to produce fully electric vehicle models across Volkswagen Group. The factory is supposed to start production in 2020, and once fully built and set up should have production capacity for 300,000 electric vehicles. For more details and discussion, head over to Kyle Field’s article. Lotus, which is owned by the Geely group, is setting up an engineering department in Hangzhou and an R&D centre in Ningbo. Both facilities will be based within Geely facilities. The brand is expected to be used to release a new energy vehicle based on Lotus designs in the Chinese market. Electric pickup trucks are becoming big news in the USA as large automakers delay announcing anything notable but electric startups begin to fill the space. Many are questioning whether such startups will disrupt the established OEMs. JMC revealed its T500EV. The electric drivetrain includes a 120 kW permanent magnet synchronous motor and comes with two battery options, a 320 km pack and a 335 km pack. It has standard Chinese fast charging capability. I think this is a good addition to the market, but we have to keep an eye out for more future updates including price and availability. 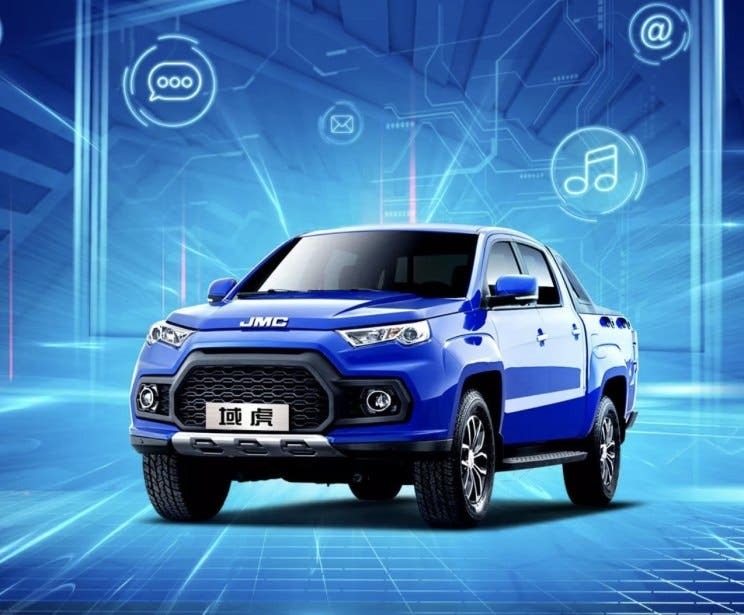 Jiangxi Isuzu Motors (JIM) released details about an electric pickup truck that it will be sold for 263,800 RMB ($37,922), but it will be eligible for a 60,000–70,000 RMB ($8,500–10,000) government subsidy. The expected range is 320 km. This vehicle seems like a logical choice for large state-owned utility companies that have massive fleets of pickup trucks and are under pressure to cut their emissions. Electric pickup trucks in China might not fit the style of American status symbol pickup trucks, but they fit the need for working trucks in China, helping another segment of the vehicle market to electrify. A number of new electric cars were revealed or updated in October. Firstly, BAIC revealed the EU7, to be launched in June of 2019. 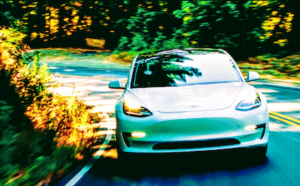 It is being portrayed in the article as a Model 3 competitor. We’ll see. Another article introduced 6 battery electric and hybrid cars that were on the verge of release in China. Changan Automobile: CS15 EV400 (长安CS15 EV400) — An updated version of its present model, the primary change is the improved NEDC range of 351km. No news on price yet. Changan Automobile–Yidong New Energy: XT Pure electric (逸动XT纯电动) — A retrofit of its existing gas/petrol model, the options are the same as the gas/petrol model. We don’t have any numbers for its NEDC range or price yet. Singulato iS6 (奇点iS6) — Singulato motors is an electric vehicle startup from China and its first product, the iS6, is an electric SUV with 400 km of range and an interior somewhat reminiscent of Tesla interiors. It is slated to be released by the end of 2018. For more details on these three EVs and the three plug-in hybrids, check out the full article. In September, the Roewe Marvel X was launched, leading to initial reviews in October. The Marvel X is an SUV and comes in two configurations — rear wheel drive (range = 403 km) and four-wheel drive (range = 370 km). The Roewe Marvel X has many styling choices straight from the Tesla playbook. The massive center console is the biggest one, and the name seems very close to the Model X (probably not a coincidence). Overall, I think this is a beautiful electric SUV. For more pictures and a video, go read this article and this one. The GAC Mitsubishi Zhizhi EV was listed on 13th of October. The small electric SUV has an NEDC range of 410 km and, after subsidy, its price should be 140,000 RMB ($20,125). It was announced that the electric version of JAC’s A60 is slated for the end of 2019 and will have 300 km of range, which seems low compared to cars already on the market. For more pictures, read this article. At the end of October, the “2018 Shenzhen, China 3rd New Energy Vehicle (Logistics Vehicle) Challenge” was held and the “2nd China New Energy Logistics Vehicle Green City Matching Conference” was held. Many companies competed in this challenge and won awards. BYD exhibited its pure electric trucks at the 13th China (Shenzhen) International Logistics and Transportation Expo. The trucks featured were the T10ZT, an electric dump truck; the Q1, an electric tractor truck; and the T5A pure electric box truck. The article linked above goes into detail about these trucks. In the city of Kunming, in the province of Yunnan, 4,300 charging piles have been built in 2018. The linked article goes into more details about the number of stations and the breakdown of the types of stations. In September, across China, 5,916 public charging piles were installed. In Tesla charging infrastructure news, Tesla opened its largest charging facility in Asia, in Hong Kong. The 50-stall site is located at FTLife Tower and is part of a larger parking garage. Although, this is not a Supercharger site. It’s a Destination charger site, so charging rates are up to 7 kWh. I hope to see more large-scale deployments of both Superchargers, Urban chargers, and Destination chargers in China/Asia as Tesla ramps up it Gigafactory 3 in Shanghai. Multiple provinces in China, have released goals to promote new energy vehicles. Inner Mongolia released a three-year plan to add 100,000 new energy vehicles. Jiangsu province released a plan to have 150,000 new energy vehicles on the road by 2020. Anhui province also released a plan to have 150,000 new energy vehicles on the road by 2020. Yunnan province released a plan to have 50,000 new energy vehicles on the road by the end of 2018. At the end of October, the newest edition of the electric vehicle subsidy catalogue was published by the Ministry of Industry and Information Technology (MIIT). The electric vehicle subsidy catalogue includes 449 entries. Of these entries, 377 of them are fully battery electric vehicles, 61 are plug-in hybrid vehicles, and 11 are fuel cell vehicles. 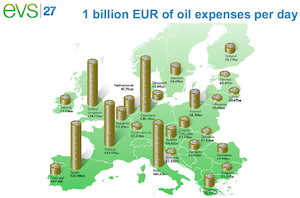 The article is more of an industry notice, but it is an interesting insight into the size of the market. Diving deeper into the Ministry of Industry and Information Technology (MIIT ) information, you can find details on which companies are providing the battery packs for the battery electric vehicles (in batch 313 of road motor vehicle announcements). CATL battery packs were featured in 32 vehicle models, BYD had 17 vehicle models with its battery packs, and Tafel New Energy and Lishen Power both had 10 models with their battery packs. 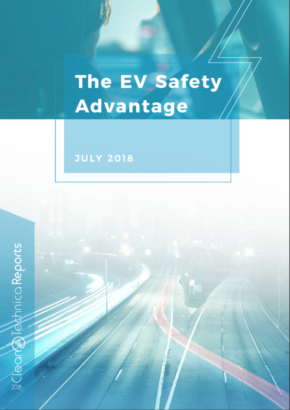 A third report took an updated look at the batteries for the electric vehicles in the recommended electric vehicle catalogue. Our own China electric vehicle sales report showed that the BAIC EC-Series blew away the electric competition in October, but BYD had 5 models in the top 11. For the year through October, the EC-Series is far and away the leader, but BYD has 3 models in the top 5. Overall, BYD has 20% plug-in vehicle market share, BAIC has 15% market share, and Roewe is in third with 11% market share. Stepping back further, plug-in vehicles had 6% market share of the broader Chinese auto market. Renewable energy is massive in China, with the country being #1 in the world for renewable energy installations several years in a row, and by far. Joshua S Hill broke down the report “Global Wind Power Asset Ownership 2018” by Wood Mackenzie Power and Renewables. The report showed that the top 15 Chinese wind power owners hold about 124 gigawatts (GW) of wind power capacity. 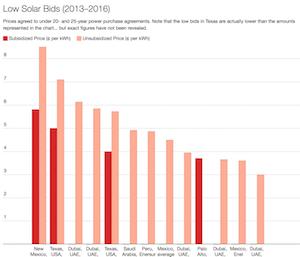 The top 15 owners in the Americas hold 64 GW, the top 15 owners from the EMEARC region (Europe, Middle East, Africa, Russia and Caspian) account for 44 GW, and the top 15 owners in the Asia Pacific region have 13 GW. It’s not all roses and dandelions, though. Joshua S Hill also reported on a new report by Carbon Tracker, Nowhere to hide: Using satellite imagery to estimate the utilisation of fossil fuel power plants. The report used satellite imagery to estimate the utilisation of fossil fuel power plants and added projections based on renewable energy developments in China. The key detail is that the report estimates that 40% of coal power plant owners in China have been losing money in 2018, and by 2040, that could rise to 95%. For more interesting details, read the full article or report.